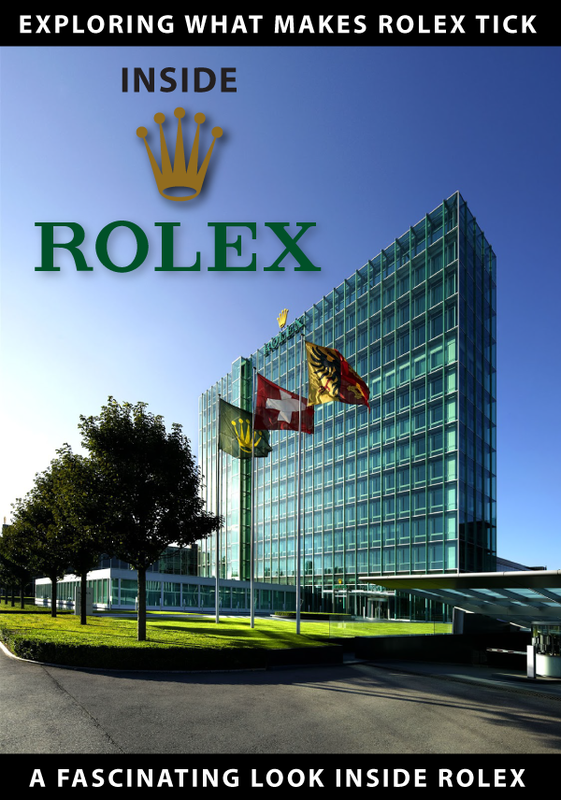 2010 is going to be an amazing year for exploring Rolex history on Jake's Rolex Watch Blog. In just a few weeks we will be celebrating the 50th Anniversary of the U.S. Navy Bathyscaph Trieste which in 1960 went down 7 Miles into the Marianas Trench to set the all time depth record and it had a Rolex DEEP-SEA SPECIAL attached to its hull which took the ultimate licking and came up ticking. Where did the name "DEEP-SEA" Special come from? 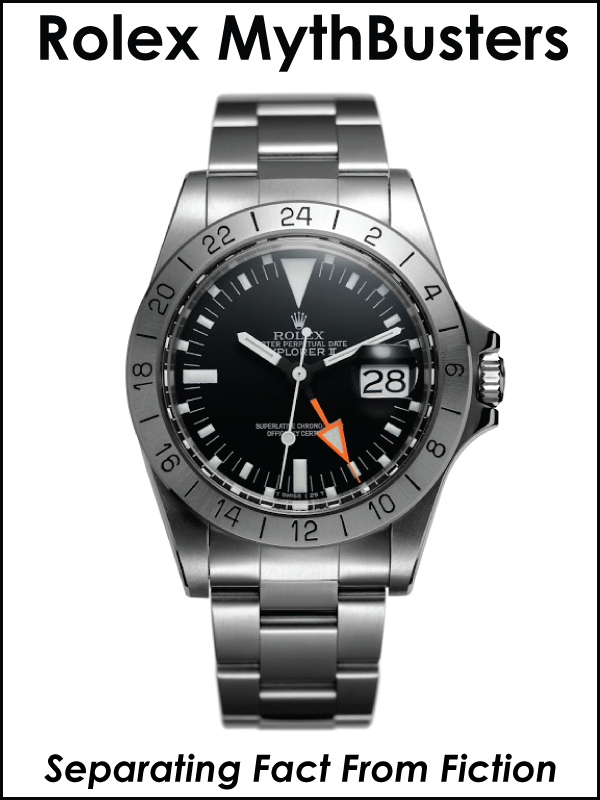 And for that matter where did the name "SEA-DWELLER" come from? I will give you a few hints. Let's start with the photo below of the U.S. 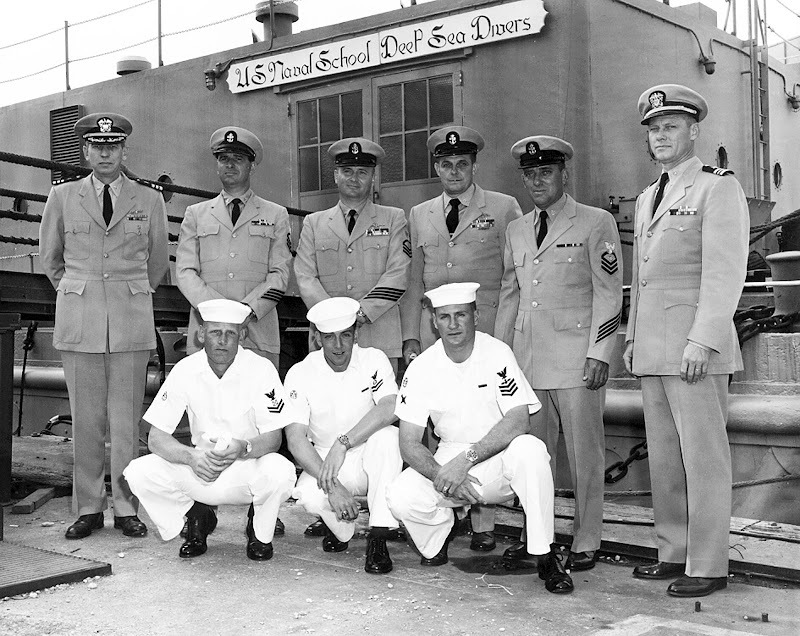 Naval School Of DEEP-SEA Divers. 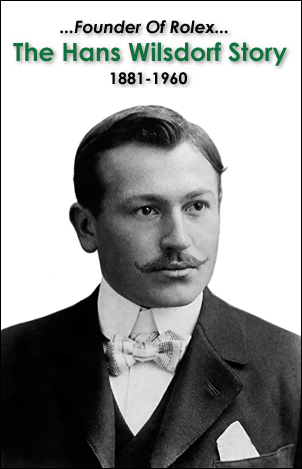 The pioneering U.S. Navy Officer who developed the Rolex SEA-DWELLER with Rolex is in the photo below. If you say you are not aware of this significant history, I would not be surprised. 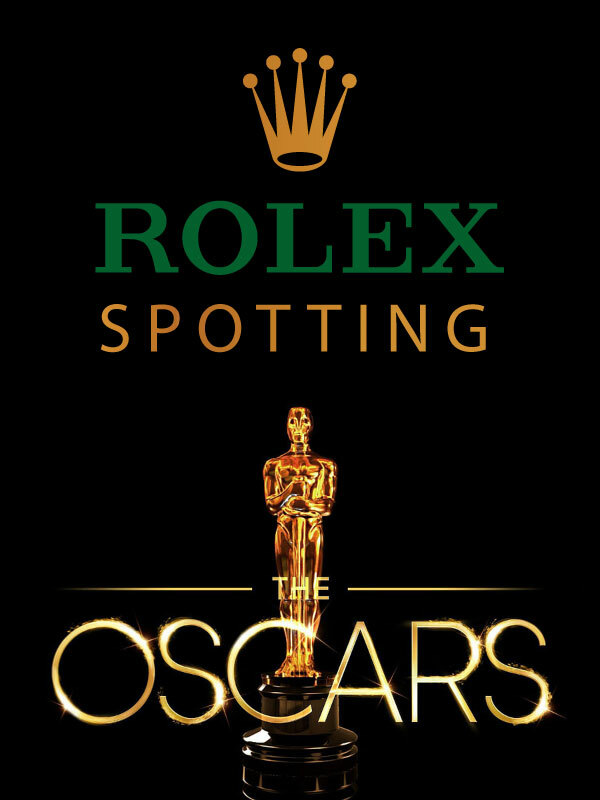 You won't find it in any Rolex history books. 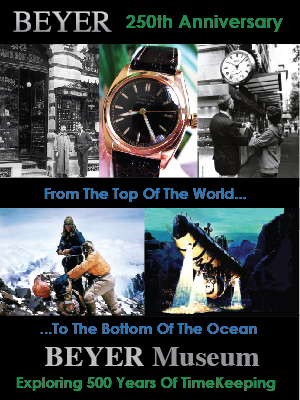 You might find a false attribution to COMEX in Rolex history books for co-developing the SEA-DWELLER, and we will learn the true history of COMEX from Henri-Germain Delauze who is the founder and CEO of COMEX to this day. 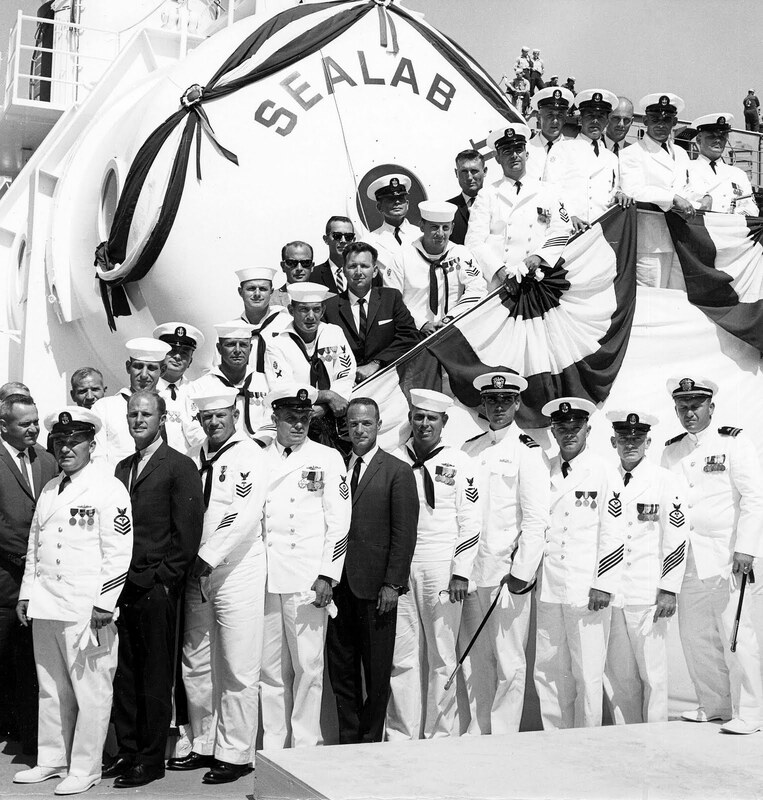 In this previously unpublished U.S. Navy photograph we see the first actual SEA-DWELLER's from operation SEALAB. When I share their story with you in early 2010 it will blow your mind and make you laugh and cry. It is a story of happenstance and destiny fulfilled. 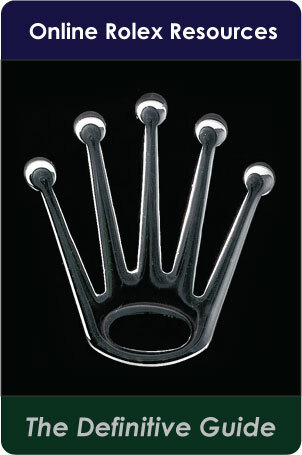 It is a story of amazing innovation and stunning achievement. It is the story of how technology developed to conquer inner-space allowed men to conquer outer-space. In particular, we see U.S. Navy test pilot and NASA astronaut Scott Carpenter pictured above standing in the front row in the center wearing a suit. 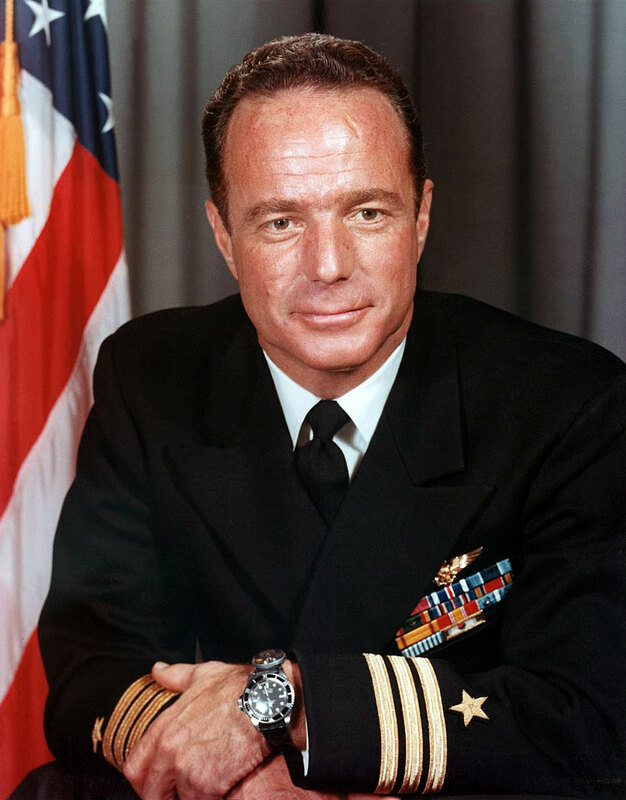 Scott was the first Astronaut/Aquanaut in history as he went from conquering outer-space as a member of the Original 7 Mercury NASA astronauts to conquering inner-space as a member of the U.S. Navy SEALAB program. 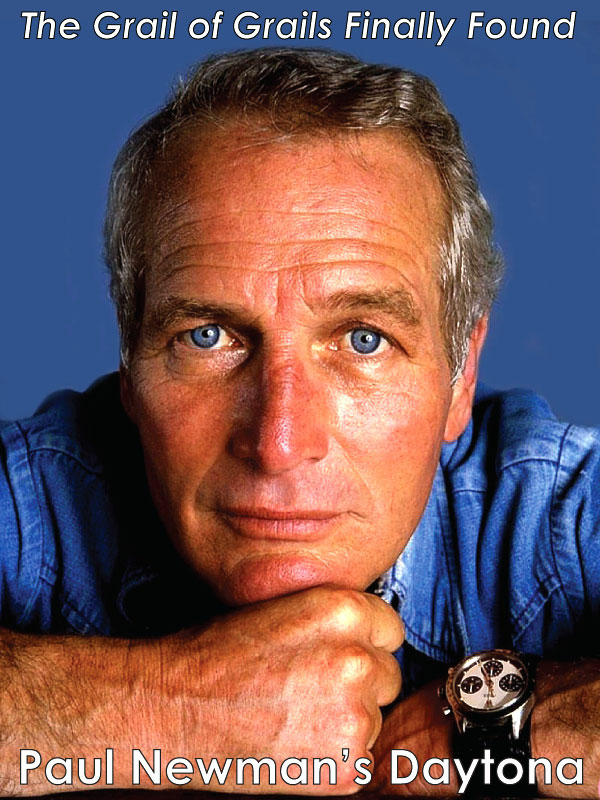 Scott is pictured below during SEA-LAB II in 1965 wearing his Rolex SEA-LAB Submariner [Reference 5512]. 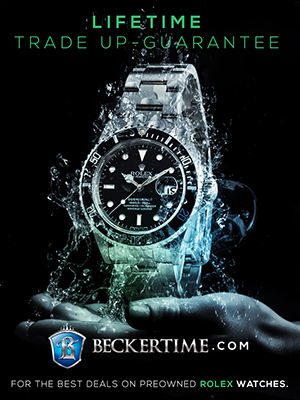 The U.S. Navy SEA-LAB provided the ultimate proving-ground and test-bed for the Rolex Submariner tool watch. 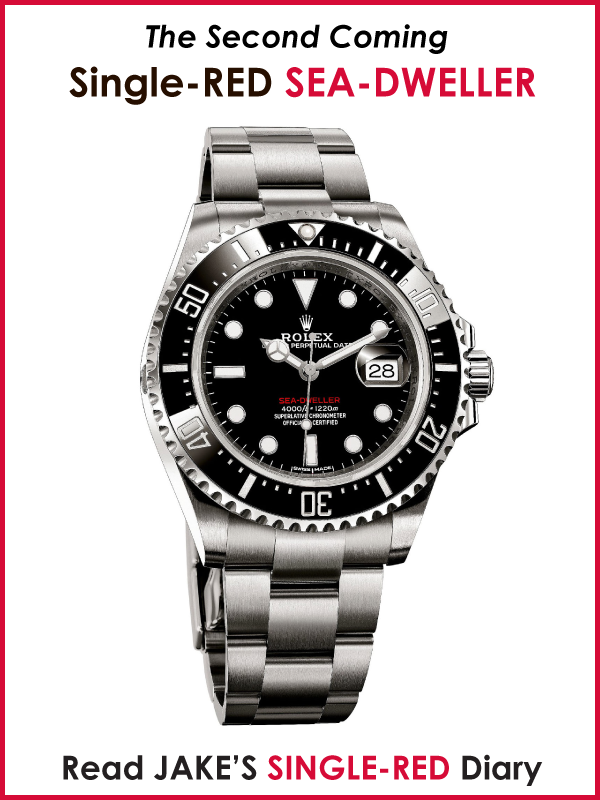 SEA-LAB pushed the Rolex Submariner watch models as they had never been pushed before into the deep, dark ocean. SEA-LAB pushed far beyond the absolute DEEP-SEA edge of the Submariner depth envelope and ultimately to failure. 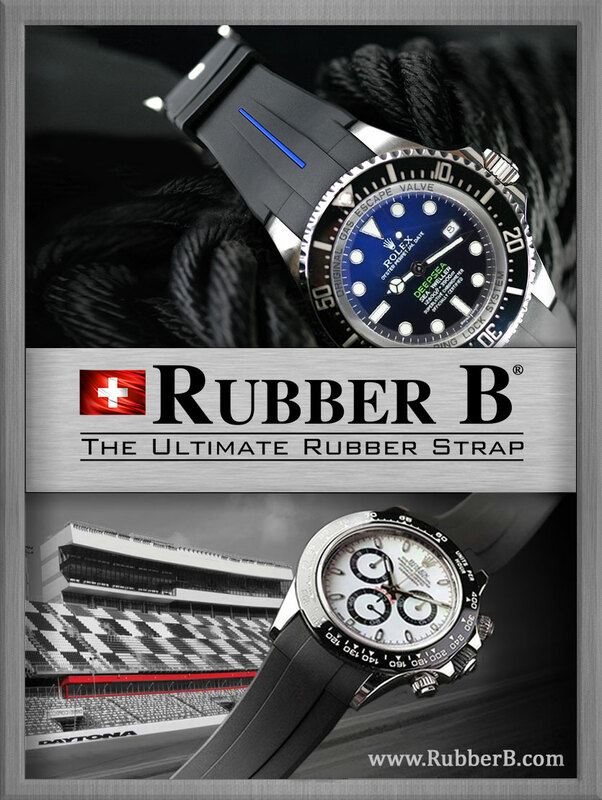 SEA-LAB exploration took DEEP-SEA divers to previously unimagined and unprecedented depths and Rolex innovation responded voraciously by turning their ceiling into the new floor. 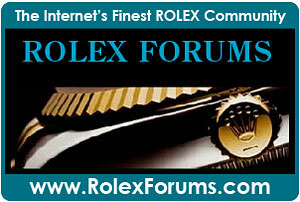 As we will learn in this upcoming story, the Rolex SEA-LAB Submariner is the real father of the Rolex SEA-DWELLER.